Often we are bombarded with messages stating, we do not have any natural resources and therefore we are poor. Just because we do not have oil does not mean we lack natural resources to move our economy forward. When you think of it, the 1000 more islands are the natural resources we have. We are using less than 150 islands for industrial purposes. The rest is untouched and unused. Tourism has shown that each island can be turned into multi million dollar cash generating investments. However, the problem is policy makers seems unable to think beyond tourism. Policies in assigning islands for industrial purposes need to be reviewed and prevent over concentration on tourism in a single atoll. 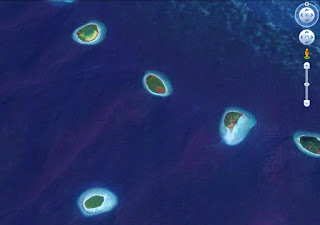 Within the atolls (including Kaafu and other atolls that has high concentration of tourism), islands can be leased to fisheries, agriculture, education, health, and many more other industries and make them easily accessible for people to go for jobs or to acquire goods and services. Building the best hospital, best college, best school, best hotel, best shoping complex, just in one tiny over crowded island does not make any sense. If the reason is concentration of all skilled labour in Male’, at least a nearby islands with boarding facilities could have been chosen to setup the best of the best to ease up the situation. Just because all the islands that are nearby Male’, are resorts, there is no reason to cram everything into this tiny place. Resorts can be taken and used for other purposes just like k. villingli has been used. Even better option is to spread such services across the country in selected uninhabited islands and provide easy accessibility. We do have natural resources....they are few however. We could have a better socio-economic situation if we optimize the use of the resources that we do have; land, women and youth. Of the 1% of our country that is land, less than half is used at all for the good of the people!!!! great ideas... only the government doesn't realize it... and people voices.. this kind of voice dosen't come up in those rallies... cheers! The blind pple cant see the resources we do have. We are blind coz we are borne to be blind. The schools don’t teach subjects like entrepreneurship, our minds are corrupted. These things are planned. Last few decades we always hear (waseesaithah madhu) only. Our country has many but unfortunately the politicians cant realize it or they don’t want be realize.